Manage all team documents in one place. Upload commonly used documents such as roster sheets, birth certificates or waiver forms needed for team registration to tournaments or leagues. Coaches don't have to carry paper documents with them anymore. Only team managers can see team's and other members' uploaded files. TeamTracky teams will be able to submit registration documents for tournaments in seconds. Select a tournament from a list of affiliated organizers, and submit rosters and member files such as waiver forms directly from TeamTracky. 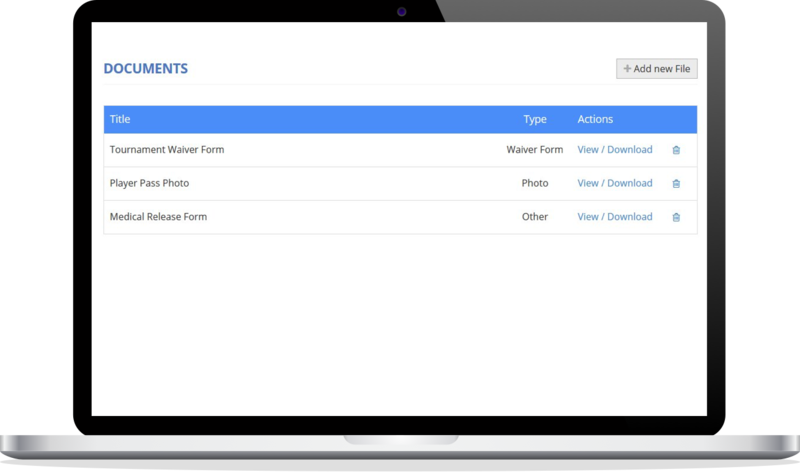 No more creating roster spreadsheets or printing member forms.